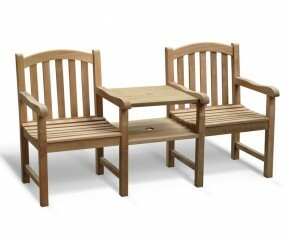 This Princeton teak companion bench features an intricate, decorative backrest, creating a stunning focal point for both private and public settings. Also referred to as a Jack and Jill seat or a tête-à-tête chair, this teak companion bench makes an ideal gift for weddings, anniversaries, retirements and so on. 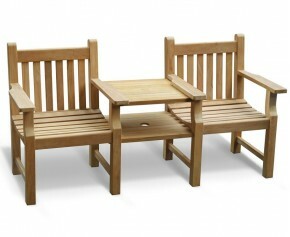 This teak companion bench features two armchairs adjoined by a practical table that’s been predrilled to permit the use of a parasol and is supplied with a flush teak plug if a parasol isn’t required. 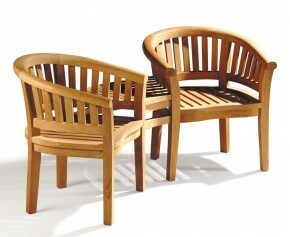 The central table is handy for placing a drink or favourite book. 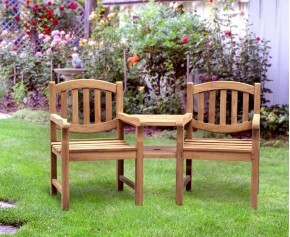 Robustly constructed from durable, sustainable grade-A teak, this Chippendale-style lattice-back wooden companion seat has been built to last, using traditional, tight-fitting mortise and tenon joints for long life and great looks. 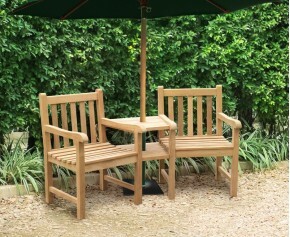 This teak garden love seat can remain outdoors all year round, no matter the weather, requiring little-to-no maintenance. 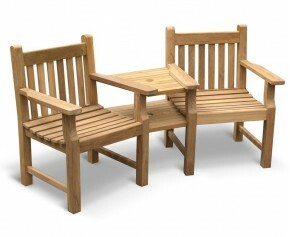 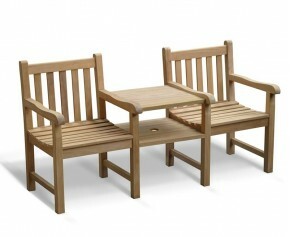 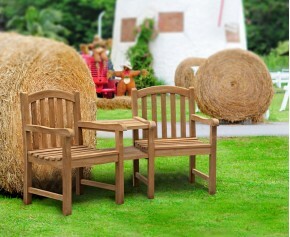 We will deliver this Jack and Jill bench to you fully assembled for your immediate enjoyment.